The Order of Buddhist Contemplatives was founded in 1978 by Reverend Master Jiyu-Kennett, an English woman who trained as a Buddhist monk at Dai Hon Zan Soji-ji, one of the two chief training monasteries of Soto Zen in Japan. She was a disciple of the Very Reverend Keido Chisan Koho Zenji, who was then serving as Chief Abbot of Soji-ji, and was certified by him as a Zen Master (Roshi). 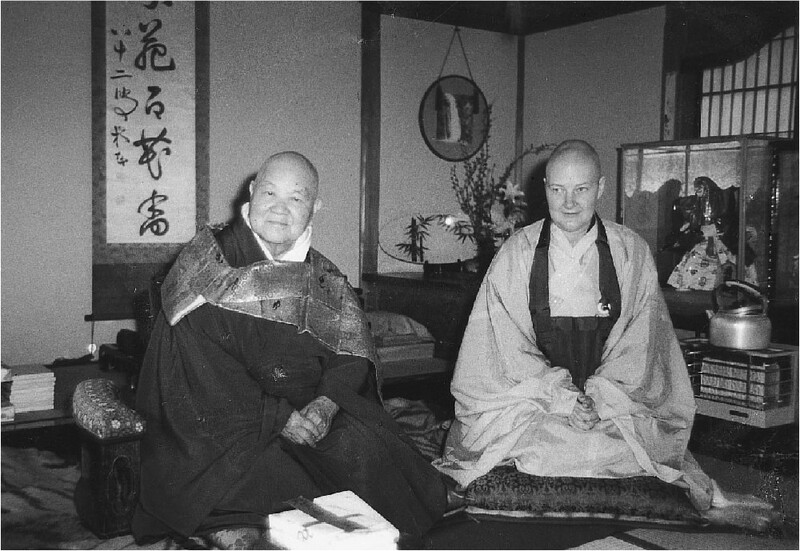 After Koho Zenji’s death she returned to the West and founded monasteries, temples and lay meditation groups in Europe and North America. Rev. Master Jiyu died in 1996; our monastic and lay training continues the teaching and practice of her lineage. In the 2,500 years since the time of Shakyamuni Buddha, many traditions of Buddhism have developed. Each has tried to express and pass on the essence of the Buddha’s teaching in ways that make sense to the people of that particular time and place. Soto Zen (Serene Reflection Meditation) is part of the Mahayana tradition of Buddhist schools that spread from India north into Tibet and China then from China into Japan and Korea. At Zen Temples, the Ancestral Line is chanted each morning expressing gratitude for the teaching (Dharma) and those who have transmitted it from Shakyamuni Buddha to us, members of the present day Sangha. 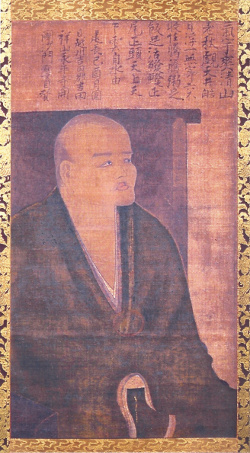 The Zen Master in that Ancestral Line who brought the Soto School of Zen to Japan was Dogen Zenji (born 1200: died 1253). He brought Chan Buddhist teaching from China to Japan, where it became known as Zen. Zazen, seated meditation is emphasised in Dogen’s teaching, a fundamental text is a collection of Dogen’s works known as ‘The Shobogenzo’. 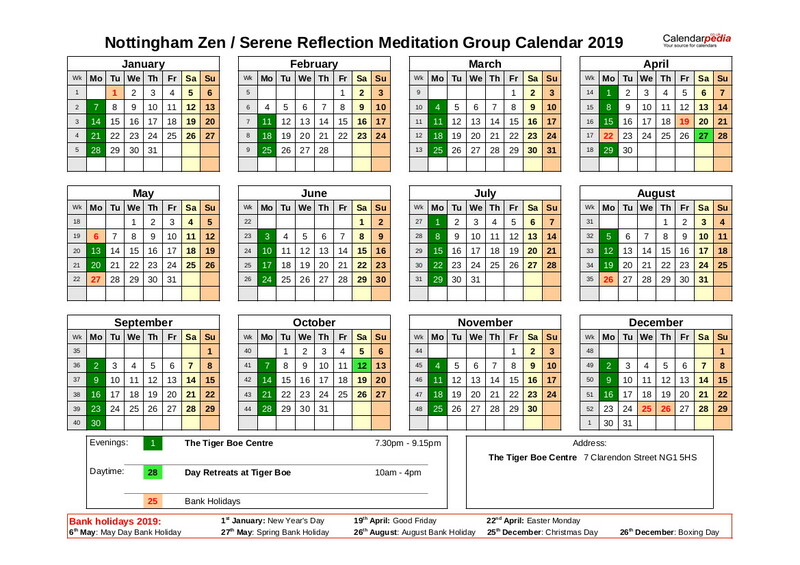 The Nottingham Zen Buddhist Serene Reflection Meditation Group (Zen/SRM) is affiliated to the Order of Buddhist Contemplatives (OBC) and supported by the monastic community at Throssel Hole Buddhist Abbey, a registered Charity (No. 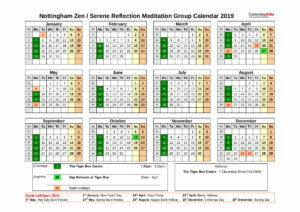 506094), and by Temples of the Order of Buddhist Contemplatives (OBC) in the East Midlands.